House prices may be going through the roof in Auckland but rents are remarkably stable, according to Trade Me Property. The median asking rent for Auckland rental properties advertised on the website was $500 a week in August, down from the all time high of $520 a week in May, and up just 0.3% compared to August last year. Over the last year the average asking price of Auckland homes advertised for sale on the website has increased by $88,000. "While landlords have seen the value of their properties increase markedly, it looks like it has been a challenge to leverage that via rental increases," Trade Me's head of property Nigel Jeffries said. "That might be tough for landlords with hefty mortgages to contend with but tenants will be pleased to have some respite." However the figures also show differences in rental growth for different types of homes in Auckland. Smaller dwellings such as apartments and home units had no or low rental growth, while rental growth was higher for stand alone houses, particularly larger ones (see tables below). The rental market was also subdued in Christchurch, with the median asking rent on 1-2 bedroom houses falling from $380 a week in May to $330 a week in August, and the median asking rent for 3-4 bedroom houses dropping by $50 a week, from $490 a week to $440 over the same period. "This is largely down to supply as a large number of new apartments have hit the market recently, soaking up the demand form tenants," Jeffries said. 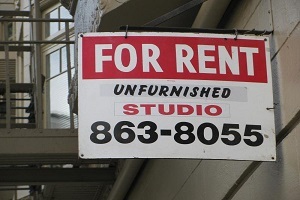 However outside of Auckland and Christchurch rents were growing strongly in many areas. The biggest increases in median asking rents over the last 12 months occurred in the Bay of Plenty where they were up 20% in August compared to August last year, followed by Gisborne +19.6%, Manawatu/Whanganui 17%, Northland +11.5% and Otago 11.1%. "Tenants in the Bay of Plenty are paying approximately $3500 more a year for their rental property than they were a year ago," Jeffries said. "The region's median rent has hit $420 a week, the same median weekly rent as we see in Wellington."